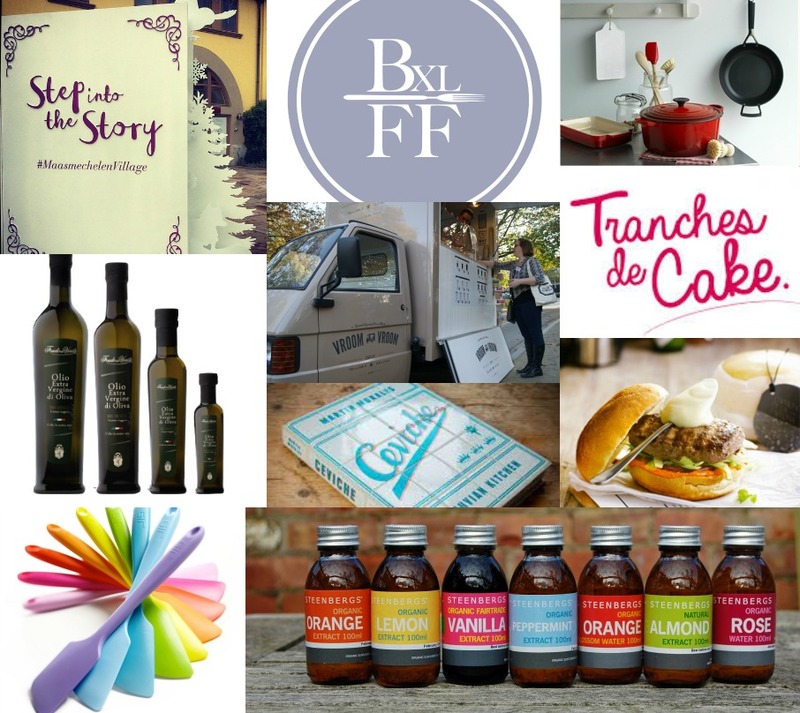 The 1st of November 2014 saw 25 Belgium based food bloggers gathering together for a day of food & fun! A day that wouldn’t have been made possible without the amazing support of our sponsors! So this is a shout out of “THANKS” to them! Collaboration with our partners at Maasmechelen Village – meant that we had a luxurious venue offering leading local & international brands at reduced prices – in a relaxed & stress-free atmosphere. An hour outside of Brussels – we sat back in the comfort of a luxury bus transfer while the picturesque countryside went by – on arrival, we got to enjoy a glass of champagne in their VIP room while listening to an informative writing skills talk from Very Hungry Explorer. Maasmechelen organised 2 additional activities for our bloggers with their onsite partners – a cooking demonstration with Le Creuset – as well as delicious hamburgers at Ellis Burger. Those who attended the day, can attest to the fact that MMV spoilt the bloggers! Even down to the Leonidas chocolates that were slipped into the goodie bags! Our friends at Olivetus, who provided tasty tapas treats for our 2nd event, once again partnered with us for our 3rd event. Not only did they add a sample bottle of olive oil into each goodie bag – but they also ran an olive oil & wine tasting in the afternoon. 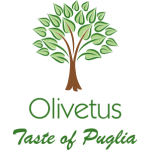 Providing the best flavours from the South of Italy… Olivetus – Taste of Puglia, was started by dynamic duo Anna & Alessandro who had the idea of importing a special selection of regional products from Puglia to Belgium. With strong beliefs in sustainability, security and innovation – their products are all sourced by small, regional and family-run businesses. “When food meets emotions…from the land of sun we selected for you the most delicate and genuine flavours…”… that is what Olivetus is all about! 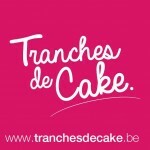 Tranches de Cake is run by a couple who after 12years & a little un’, decided to pursue their passion & opened up place for “cake slices”. A recipe for success? Take one part of sugar (with Stephanie having embarked on an adventure in pastry in 2010), add a splash of marketing (Amyeric with more than many many years of communications experience) and finally – mix with lots of passion, love & laughter… and that is what Tranches de Cake is all about! They generously provided an individually wrapped GIANT cookie for each blogger in the goodie bag. 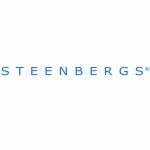 Another company passionate about Fairtrade & organic products is the family-run Steenbergs – who graciously sent through a range of goodies for each of the delegates. Mini bottles of spices, as well as extracts brought inspiration to the goodie bags. While some of our lucky draw winners got a tin of gorgeous hot chocolate. After thousands of hours in the kitchen using two-piece spatulas and similar utensils that just didn’t cut it, GIR decided to create tools that would. We were delighted when the mini spatula’s arrived for each of the bloggers. GIR products are Ferrari’s of the kitchen utensils. Our partnership with publishers Luster started with our very first event… and their support for foodies has been extensive! Providing books for every event for lucky draw & follow up winners, our bloggers have been scrambling to get their hands on these well-known titles! Started in 2009, with a love for books – they showcase writers, composers, photographers and graphic designers who are passionate about their creations. 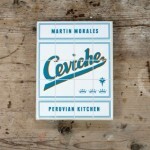 Publishing approx. 10 to 12 books per year – they focus on making every single published book perfect with extra effort & care. A cup of deliciousness…. Seriously! And served with a smile. Elfya, founder of the adorable 3-wheeler coffee truck, shares her love of stylish coffee by bringing “coffee on the go concept” to the heart of Belgium. 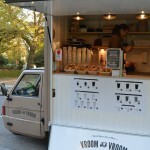 Having seen the trend of Belgians drinking coffee while on the go, plus time spent in New York, the creation of VROOM VROOM coffee truck was born. Serving gourmet fairtrade coffees in eco-friendly cups along with freshly made artisanal pastries (some are made by Elfya herself, while others come from Bake) – we were super pleased to be colloborating together for our 3rd #BxlFF event – with bloggers starting off the day enjoying a cuppa along with a baked treat.